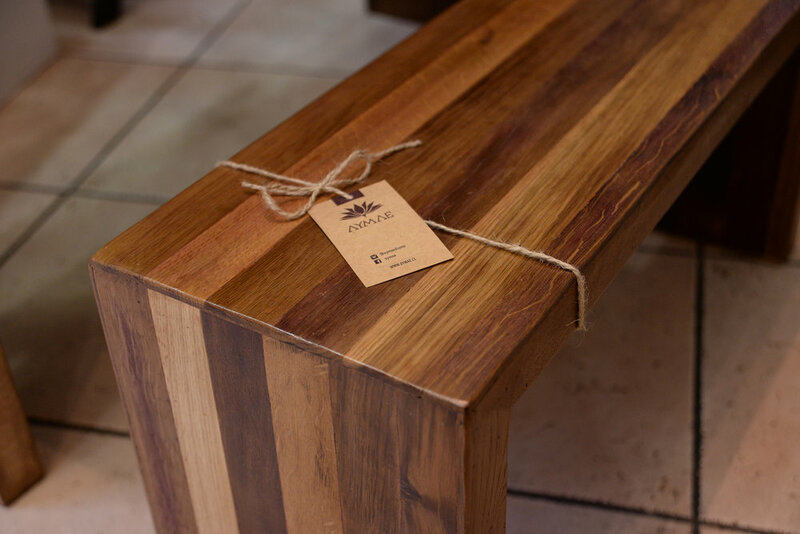 Aymae was born of a desire to give life to design through recycled materials. Near Santiago Chile, the vineyards of the Maipo Valley combine old world techniques and state of the art technology to produce wine. 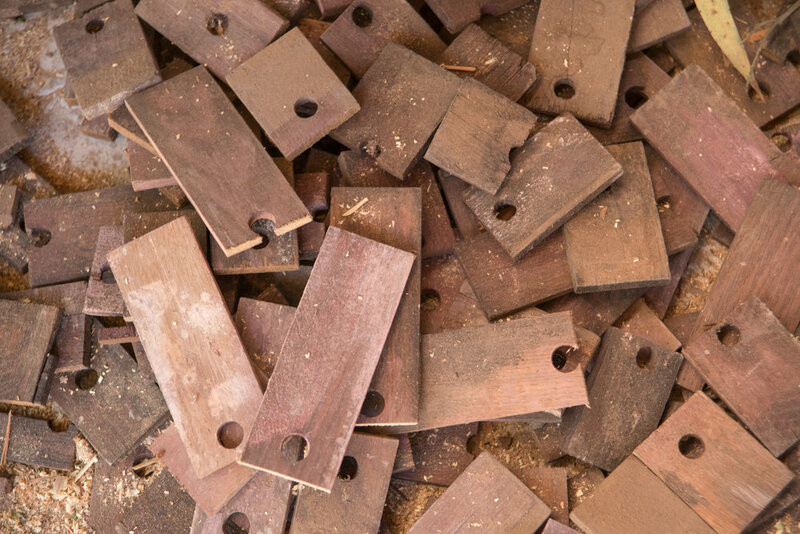 A by-product of this production are wine staves. 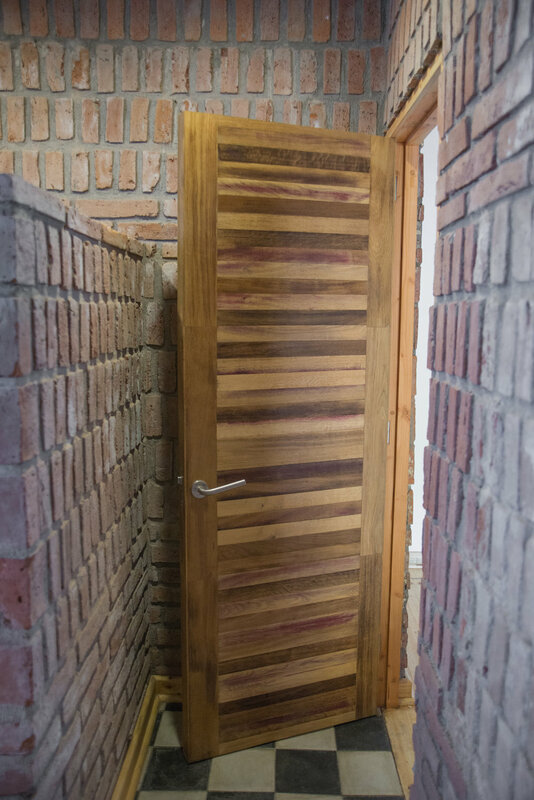 White Oak from the United States and France that is prepared by coopers and toasted to suit the particular type of wine being produced. 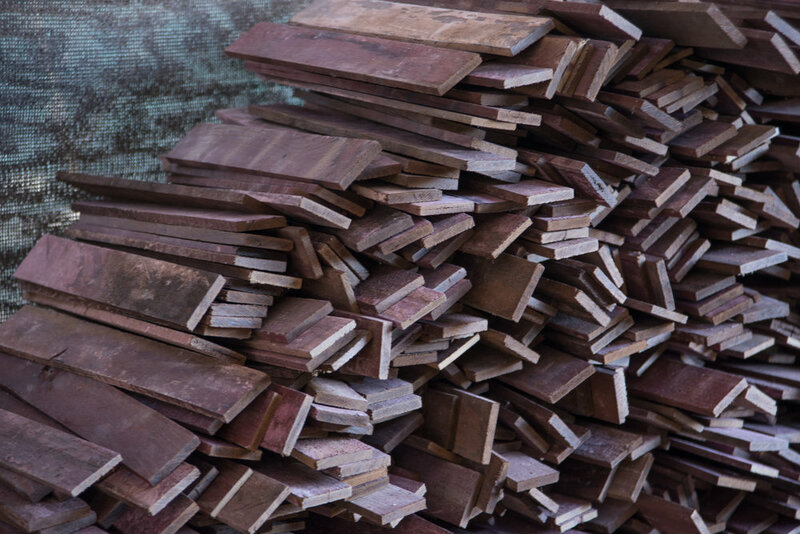 This wood, soaked in wine, takes a wide variety of colors from a deep purple to a golden color. Once a batch is complete and is either barreled or bottled..these oak staves cannot be used again for wine. Aymae discovered it for furniture. Purchasing is done by enquiry. If you want more information on the products below or want to make a custom enquiry contact us. 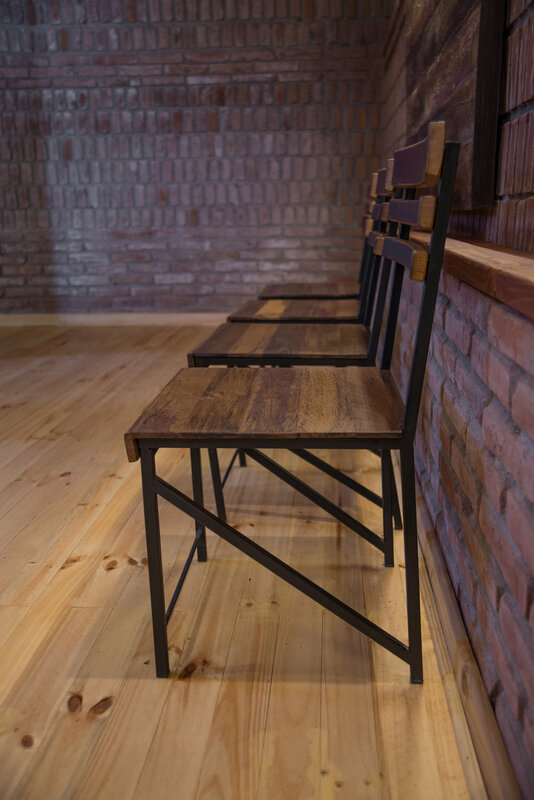 Click on the furniture types below to learn more about the products we offer. If you have questions contact Stephen stephen@peglegstudio.com. Ask about custom dimensions if you don't see the right size below. 26", 28" and 30" heights. 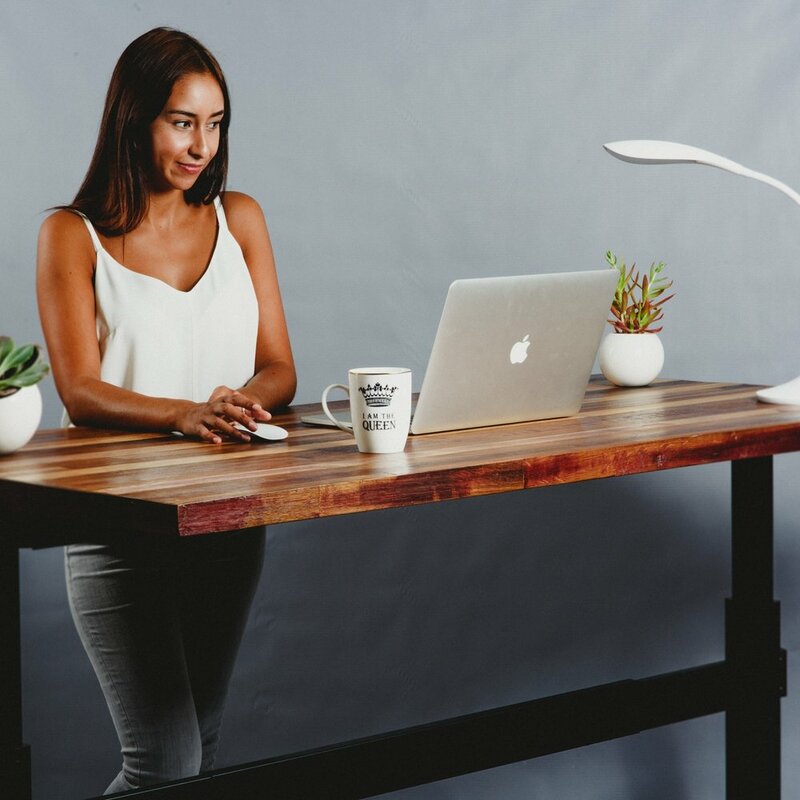 We are pleased to offer these standing desks in conjunction with Aymae. 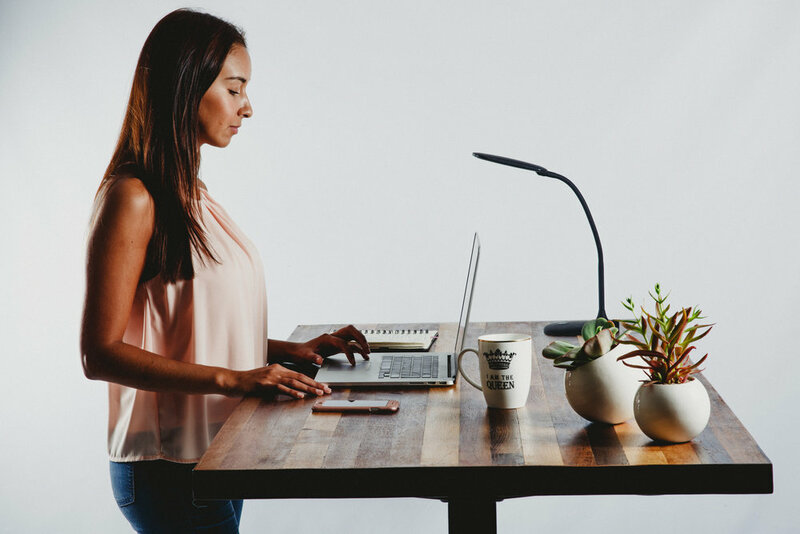 Go from sitting to standing with this soft-start desk by simply pushing the up or down arrow. With a full height of 50" this desk can accommodate even our tallest customers. The electric motor has a simple push-button corded remote that can be mounted anywhere on the desk. It runs silently on 120v power. Height adjustable from a standard 30.5" work surface to a max height of 50"
These desks favor smaller offices and home use with their compact dimensions. 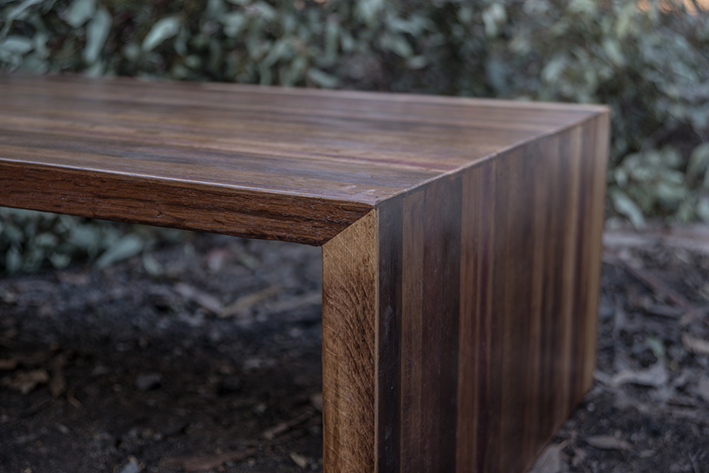 The desk can be assembled to support a minimum surface of 24" x 48" to a max of 36" x 72". Shown above is a 60" long surface. This desk is rigid and not prone to wobble. 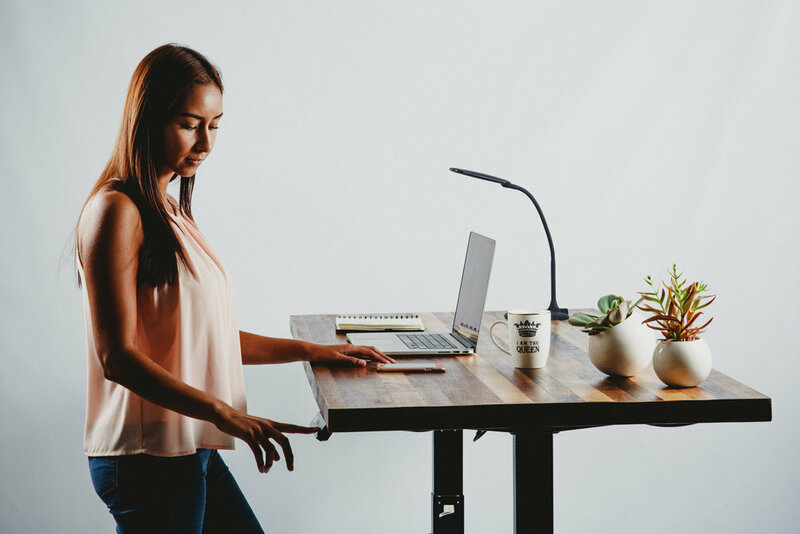 It's sturdy footprint means you can work with and around this desk without fear of losing stability as the surface increases in height.